Join us for an informal conversation between Sionne Rameah Neely of Intiatives of Change USA and visiting Kenyan artist Nzilani Simu to talk about the power of art in changing narratives and society. Light hors d'oeuvres and drinks will be served. $5 suggestion donation to Simu’s travel fund. 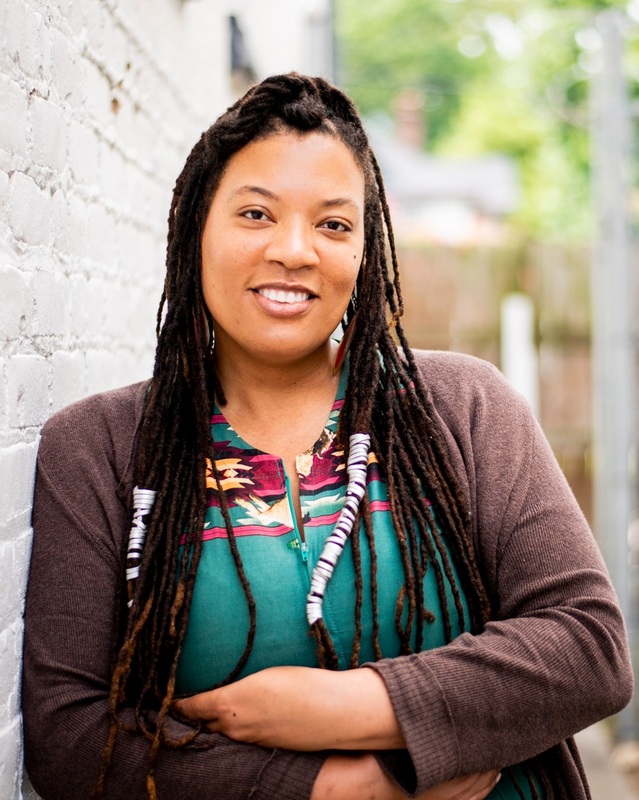 Sionne Rameah Neely is a womanist researcher, writer, teacher and multimedia producer who spent eight years cultivating critical movements in the artist community of Ghana before returning to her hometown of Richmond, Virginia and joining the IofC team as Director of Marketing & Communications. In Ghana, Sionne co-created ACCRA [dot] ALT, an independent community-based organization that promotes the socially transformative work of local creatives and artists to global audiences. As part of this work, she also co-founded and helped run the flagship CHALE WOTE Street Art Festival, the biggest festival of its kind in Africa. In addition to her work in the artist community, Sionne built upon her doctoral research on the rights of African women in her role leading the knowledge management division of the African Women’s Development Fund (AWDF), the largest continental fund supporting and sustaining more than 1,300 women’s rights organizations in Africa. Sionne received a master’s degree and a doctoral degree from the University of Southern California in American studies and ethnicity. She completed master’s work in fine arts from Howard University, where she focused on film production and criticism, and a bachelor’s degree in journalism from the University of Georgia. Her multimedia research revolves around independent arts organizing, African women’s rights, African feminism, the rights of artists, the history of music production in Ghana and pan-African recollections of the transatlantic enslaved trade. When she is not at work, Sionne loves to be at the beach or out on the trails, exploring new places, interacting with folks of different cultures and checking out films and musical performances. Nzilani Simu is an Illustrator and graphic designer from Nairobi, Kenya. She specialises in illustration, infographics, branding, hand lettering and is passionate about design for social impact, particularly when it comes to an African lens and projects focused on women's rights. She has over ten years of experience working as a freelancer and for creative agencies within Kenya and for international clients. She has a BA in Sociology from the University of Western Ontario, and a BA in Graphic Design from Curtin University in Malaysia. Nzilani also runs Kulula - where she sells greeting cards, journals, and other gift and stationery goods. In addition to this, Nzilani works part time as a lecturer at a creative college in Nairobi. Nzilani is visiting Richmond to participate in the two day Something's in the Water event taking place across Dr Martin Luther King Jr Day and the National Day of Racial Healing, hosted at Studio Two Three.